With a recent slow down of the US markets and some unfavourable changes in the Yield predictions, we are seeing the US dollar go lower despite last night’s stabilization. The global markets look towards the US to see what comes next, all the while the currencies around the world seem to be going down all over. The US markets have been more than a little volatile over the past few months, culminating in one of the worst market losses on Tuesday. The world is keeping a close eye on future developments, but it is not surprising that the US dollar takes a bit of a dive as the world fears a US economic slowdown in the face of possible trade tariffs. The global equity markets are still hurting, with US economy showing signs of slow down as the Treasury yield curves invert. The two and five-year yield curves inverted today, with the ten-year yield curve becoming the flattest it has been since around 2008, with the long-term rates seeing a deep fall. These are believed to be signs of an economic slowdown and a possible economic weakness in the US in the long term, causing the treasury yields today to reach 2.920, up from the Tuesday’s three month low of 2.885. All of this results in the dollar taking a dip today early in the morning against the Yen in Tokyo. 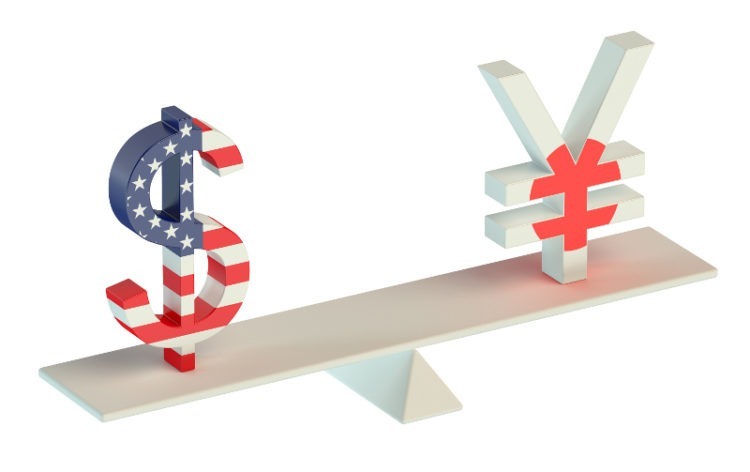 The Japanese Foreign Exchange strategists voice the sentiment of the rest of the world, saying they will be looking forward to the December Federal Reserve meeting to see where the US Dollar will be going. The meeting is scheduled to be on December 18-19, with expectations of increased interest rates floating about in the financial world. The question of how many hikes there will be remains open. The USD fell 0.2 per cent, down to 112.98 Yen. See our in-depth analysis regarding the relationship of the two currencies to find out what else might be going on. The issue of global market equity issues, as well as the US economy, slow down fears, have caused the dollar as many problems as they have to the United States markets. Adding on to this is the news of the arrest of a top brass representative of one of the world’s tech giants, which further complicates the already chard negotiations between the two countries. As a result, we are seeing a down-trend with a lot of currencies this morning. The Australian dollar fell 0.2% as a result of the low economic predictions produced by the Bank of Australia recently and the low retail revenues of the third quarter. This is part of the several day trends of shedding more and more of the currency value that the AUD has been experiencing. The GBP was slightly lower, but thankfully is being propped up by expectations of a more favourable outcome to Brexit than previously thought. The Euro remains stable, changing only slightly from Tuesday. The GBP and the Euro have been going through an interesting power dynamic over the past few months, with Brexit fears and expectations affecting the two currencies greatly. Seemingly the positive expectations are keeping both currencies stable, for now.